Last week, we announced the launch of the Aspire Ventures Precision Medicine Fund (AVP), a $300 million fund co-managed with Penn Medicine Lancaster General Health (LG Health) to fast-track precision medicine ventures and practices that transform care with AI and IoT. Together with LG Health we’ve seeded the fund with $30 million cash and in-kind investment and will be fundraising for the remainder over the next two years. We believe precision medicine is the future of healthcare, and we’re excited to be working with a top-tier partner to accelerate its realization. Precision medicine matches each individual with the right treatment according to their unique biochemistry, genetics, environment, and lifestyle, instead of offering one-size-fits-all solutions for the “average” patient. This approach could have profound impacts on cost, experience, and outcomes in a healthcare system that today is wasteful, slow, and expensive. By some counts, more than $1 trillion of U.S. healthcare spending is wasted every year, 40 percent of which can be attributed to unnecessary treatments, and another 12% to medical errors. Imagine if we could eliminate that waste while making treatments more effective. Precision medicine has been gaining a lot of momentum recently, and it’s no surprise — already it has had an exciting impact on both clinical research and patient care. Since the Obama administration launched the Precision Medicine Initiative in January 2015, the notion of precision medicine has expanded from next generation gene sequencing and pharmacogenomics to a much broader definition that has attracted a lot more investment. In fact, the global precision medicine market is expected to reach $141 billion in just eight years, driving an enormous uptick in research and development. For precision medicine to be successful, it must address not only genetic data, but also account for other health variables, such as environmental factors, clinical narratives, or behavior analyses — essentially, it must rely on comprehensive data regarding the whole person. The challenge in doing so is that without the right technological tools, collecting and analyzing comprehensive data for each patient is often cost-prohibitive. That’s why artificial intelligence (AI) and the Internet of Things (IoT) play a key role in the realization of a practical, scalable approach to precision medicine that can be used not only to monitor cancer treatments and tame the human genome, but also to assist the larger population with a wide variety of health conditions. Technology like IoT makes it possible to acquire both the quantity and quality of data needed to effectively broaden the scope of precision medicine. There is a growing number of data collection devices, from consumer-level fitness trackers to Continuous Glucose Monitors and portable EEGs, that monitor a patient’s condition constantly, aiding physicians in making more accurate diagnoses. There are also a variety of apps and wearables that can help patients to manage their diet, record their medications, and monitor their own mental health status. Yet the benefits of these devices do more than merely assist patients in managing their own health — they can provide physicians the data they need for individualized treatments and even extend to the emergency room. One of the major hurdles precision medicine solutions face is finding a way to create individualized solutions that can be scaled affordably. To that end, AI plays a vital role in achieving cost-effectiveness and lowering healthcare costs overall. In pharmaceuticals alone, AI data mining algorithms have made it faster and easier to obtain and organize large quantities of accurate information, thereby decreasing the cost of drug development and replication. 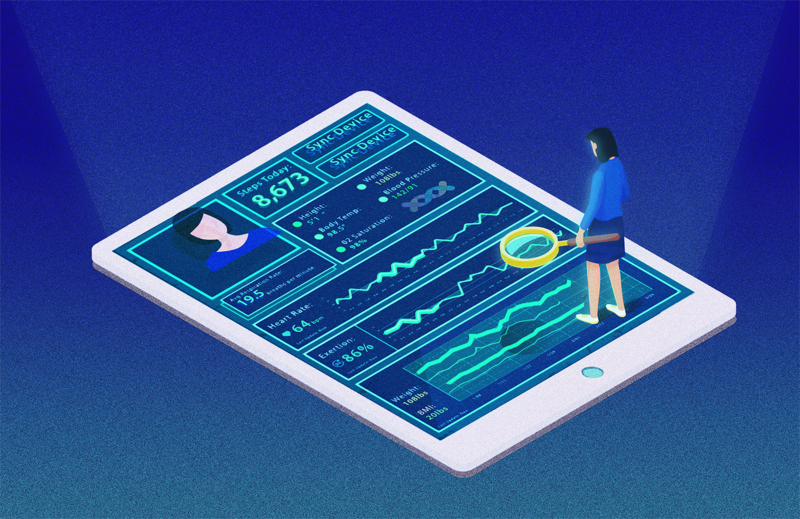 Finding significant patterns and making meaningful use of massive data sets to provide personalized treatments for every patient is a nearly impossible task for humans alone. However, sifting through data is precisely the type of work that artificial intelligence can do quickly and cheaply. The Aspire Ventures Precision Medicine Fund will focus investments on devices and practices that leverage AI and IoT to overcome precision medicine’s scalability challenges and maximize impact on population health. Aspire and LG Health will also help to fast-track technologies by contributing technological and clinical expertise along with intellectual property like health system data and Aspire’s proprietary adaptive artificial intelligence platform, A2I. A big part of the cost related to precision medicine solutions stems from the time, resources, and risk it takes to fully develop, deploy, and integrate health technologies into health systems. Our fund’s unique structure helps ventures overcome these challenges by leveraging an ecosystem of strategic partnerships that accelerate each step of the venture development process — from ideation, to clinical trials, to FDA approval, to market adoption, to insurance reimbursement. In this way we can maximize our capital efficiency and rapidly advance new precision medicine technologies to market that will have the broadest possible impact. For more information about our precision medicine fund, check out a few of the articles in the links below.